When I first started teaching in the 1970s, we had a principal at our local high school who would visit the physical education department on almost a daily basis. He told the teachers he did this because the PE department was the best place to go to find out what was going on in the school. With experience, I have learned that this makes a lot of sense. The PE department is the one place that all the students in the school visit on a daily basis. The coaches have to work with all the students. This included gifted students, second language learners, students with special needs and many students who had no special designation or classification. Building relationships and learning to work with a diverse group of students prepared many coaches to move into administrative positions. In my long career, many of the best administrators I met came out of the physical education ranks. I didn't know it then but the principal was "going to the gemba." The concept of a gemba walk is most closely associated with a management style applied in the manufacturing context wherein executives will visit the manufacturing floor to find out firsthand what is really going on in the work place. The word gemba is a Japanese term that literally means "the real place." I prefer view it as a place where the action is. 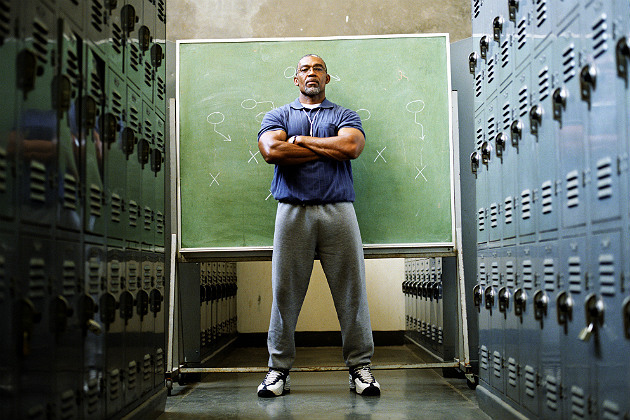 There are multiple reasons why a football coach might want to take a gemba walk. A gemba walk might reveal what is really happening within a coach's team. It is a purposeful attempt to learn something about the players that perhaps one would otherwise not be able to discover absent the visit. In the manufacturing context, a gemba walk allows executives to build relationships with their employees. In the coaching context, it will allow one to better build relationships with their players and better identify any existing problems. Early in my coaching career and for a long time thereafter, I was under the impression that by going to the practice field I was going to the gemba on a daily basis. I inherited more responsibilities from the time I was a position coach to becoming a defensive coordinator and finally a head coach, and I came to realize that the practice field wasn't the only place where the action was. There are a number of locations on a campus that a coach might want to take a gemba walk to. Examples include the lunch court or a student patio or perhaps just some benches where students like to hang out and socialize. There is, however, one location that can be easily overlooked once one becomes a head coach. This location is the locker room. It is probably just as important as the football field, and at times it can be even more important. There is an old saying that perhaps you have heard: "He who controls your locker room controls your team." This is one reason why it is so important to always be informed about what is happening in your locker room. One interesting thing I discovered over the years is that a locker room can tell you many things even when there are no athletes in it. Close to the time I took a head coaching job after a long career as an assistant coach, our school district was in the process of making budget cuts and decided to eliminate the position of locker room attendant. The job up until then had been staffed by one of our assistant coaches who besides performing all his assigned tasks also served as a father figure to all our players. We always knew who was in control of the locker room because his presence there allowed us to monitor it on a daily basis. Once he was gone, it became my responsibility to assume this role, and I realized how important it was to take a gemba walk to the locker room on a daily basis. My expanded list of things to do included cleaning the locker room and securing the building once practice ended. It was while I tended to these duties that I would often find out a number of things I would have never known if I had never gone in there. First of all, I had an opportunity to talk to some of our players who were still in the locker room at that time, and quite often these talks centered on either team matters or personal matters that were of importance to both of us. Closing a locker and securing the combination lock can prove to be a tremendous challenge to a teenager. While performing this chore, I was able to find numerous texts and entire book-filled backpacks that were not being taken home in the evening. At times I would find small bottles of ibuprofen, which of course was of concern to me, too. These are just a few of the things I was able to find out by going to the gemba. Interscholastic sports have evolved much over the years, and many programs on the high school level have taken on a quasi-corporate structure that includes expanded coaching staffs, administrative staffing, certified trainers, strength coaches and facilities that resemble college athletic complexes. With it comes a delegation of responsibilities that will reduce the time a head coach will spend with the players. Modern advances in digital communication can also contribute to a decrease in personal interaction with your players. As such, it is important to make every effort to maintain a personal connection with every athlete on your team and not rely exclusively on others to make an emotional connection with your players. Making this connection will help a coach bring his football family together and create an atmosphere of trust that will prove to be invaluable when a coach has to ask the team to make the right decisions in the football family context. Much has been made about the macho mentality associated with contact sports such as football and the dangers associated with concussions on the interscholastic level. It is the job of the head coach to treat his football family as he would his own family at home. This involves creating an atmosphere of trust and concern among all family members, and it starts by making an emotional connection with all your players. Just like a brother wouldn't let one of his siblings do something that would endanger his health or perhaps even his life, the members of a football team should have the same concern for each other. As a coach, one hopes all the players will be willing to self-report an injury. But it will be even more reassuring if a coach knows his athletes have a common concern for each other and that the family's health and well-being is more important than any game or championship. Going to the gemba is a practice a head coach might want to consider not only on the youth level but also in the collegiate and professional levels as well. As one climbs the administrative ladder in education, one often becomes less and less accessible to the students and the teaching staff. I would venture to guess that this is equally applicable in the coaching context on the higher levels of coaching. So even on this level, coaches might want to take an occasional gemba walk. Rey Hernandez coached high school football for more than 30 years in California before recently retiring. Hernandez also received a Master's degree from San Diego State University and a law degree from JD Thomas Jefferson School of Law.